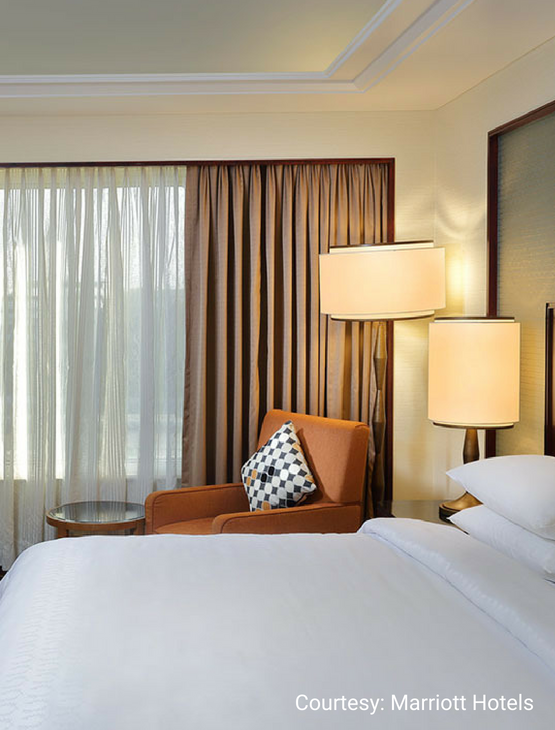 Built to evoke a royal Indian Palace, Sheraton Grand Pune Bund Garden Hotel strikes the perfect balance between old-world grandeur and contemporary comfort. 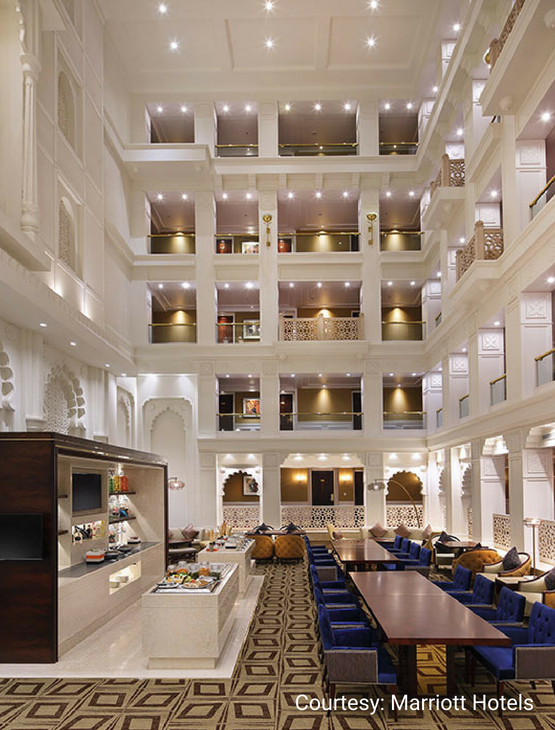 Guests enjoy a world of refined hospitality, as well as easy access to the city's business and cultural hubs. 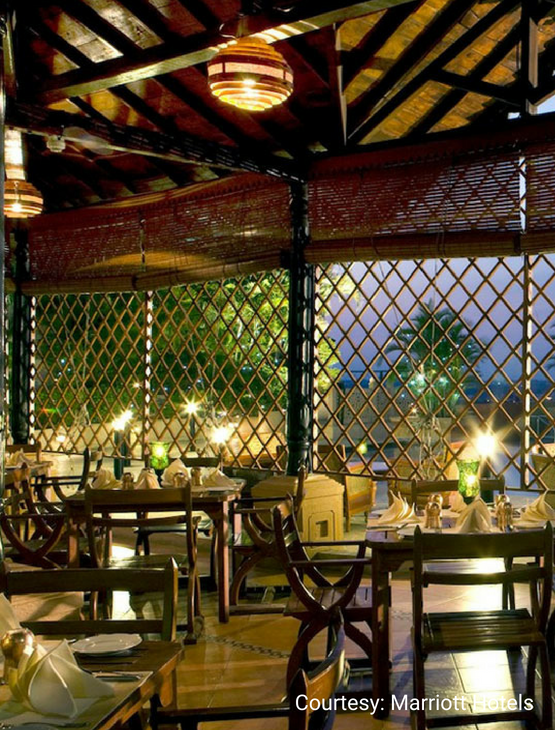 Savour international fare at Feast or North Indian cuisine at Chingari. Energize at our four-story Sheraton Fitness, spend a leisurely afternoons at our outdoor pool or relax with a treatment at Shine Spa for Sheraton™. 30% off at The Lobby Lounge (not applicable on retail or on any merchandise). Happy Hours. Buy one drink and get the second drink (same as the first one) with our compliments at Entresol Bar from 11 am to 1 am. Member’s Day on Thursdays and Fridays. Avail of a 50% off on the food bill and a 30% off on the beverage bill over lunch and dinner up to a maximum of eight (8) guests while dining at any of the restaurants at the hotel. 30% off at the Shine Spa For Sheraton. 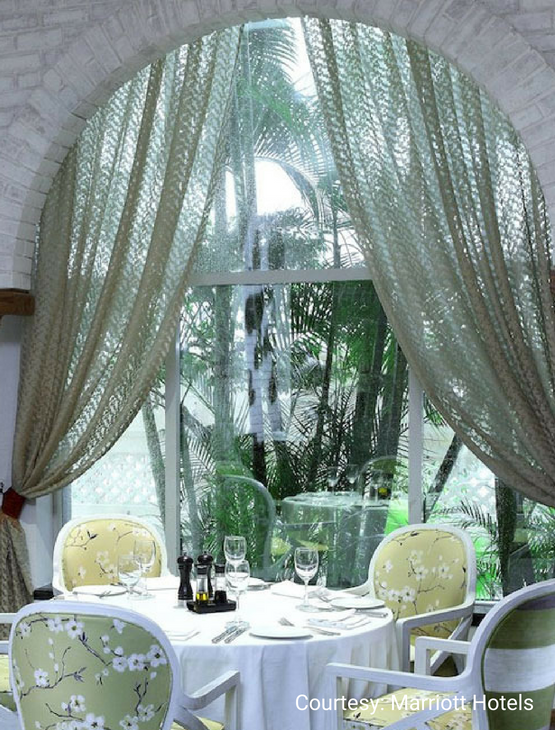 Two (2) certificates entitling the Bearer to a 50% off on the food bill and a 30% off on the beverage bill over lunch or dinner at Feast up to a maximum of ten (10) guests. This benefit is not valid over Sunday Brunch. One (1) certificate entitling the Bearer to a 50% off on the food bill and a 30% off on the beverage bill over dinner at Chingari up to a maximum of ten (10) guests. This benefit is not valid over Sunday Brunch. One (1) certificate entitling the Bearer to a Celebration Cake (max 1 Kg), while dining at any of the restaurants at the hotel. One (1) certificate entitling the Bearer to a bottle of House Wine or a Celebration Cake (max 1 Kg), while dining at any of the restaurants at the hotel. Two (2) certificates entitling the Bearer to a one night stay in the base category of rooms over weekends (Friday, Saturday or Sunday). 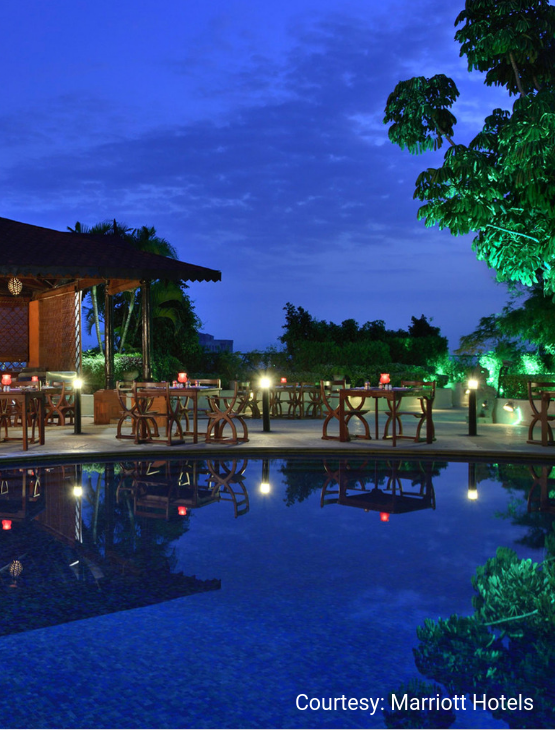 This benefit is valid for two (2) guests and is inclusive of buffet breakfast. Four (4) certificates entitling the Bearer to a 50% off on the Best Available Rate on the base category of rooms over weekends (Friday, Saturday and Sunday nights) for a maximum of two (2) consecutive nights per certificate. 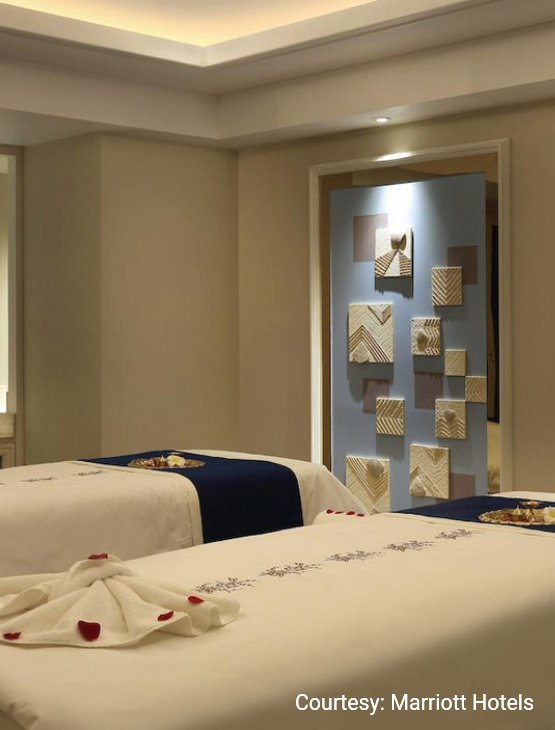 Five (5) certificates entitling the Member to a 50% off on the signature therapy treatment at the Shine Spa For Sheraton. This benefit is valid from Monday to Friday. Three (3) certificates entitling the Member to day use / access of the Swimming Pool area for two (2) guests. This benefit is valid for a maximum of two (2) hours from Monday to Friday between 7 am and 7 pm. House rules apply. The membership card and the certificates are valid as printed and cannot be extended or revalidated. These cannot be replaced if lost or stolen. The membership card and the certificates have no cash value and cannot be traded for any other service. The total amount of the membership fee will be refunded, provided the membership has not been used and the refund is requested by the Member within 15 days of acceptance of the membership. The refund will only be actioned after the receipt of the membership card, all the certificates and a written cancellation request. 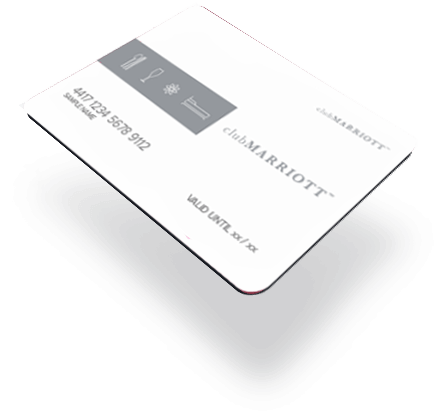 Without prejudice to any other mode of proof, through the payment of the Club Marriott membership or the use of the membership card or any of the certificates, the member accepts these terms and conditions, as amended from time to time and agrees to be bound by them. or room service orders. Card discounts and certificates are not applicable during Christmas Eve, New Year’s Eve, Valentine’s Day, Independence Day or any other day as specified by the hotel. Reservations can only be made within 15 days of arrival or as stated on the certificates. Black-out dates may apply. Please surrender the relevant accommodation certificate and present valid photo ID’s to avail of the accommodation benefits. The benefits given in the certificates are accompanied by the terms and conditions given on the face and on the reverse of the certificate.